The rally continues, with 120 new highs in my universe of 4,000 stocks on Wednesday. Auto-related stocks are strong: GMA, AZO and MGA hit highs. 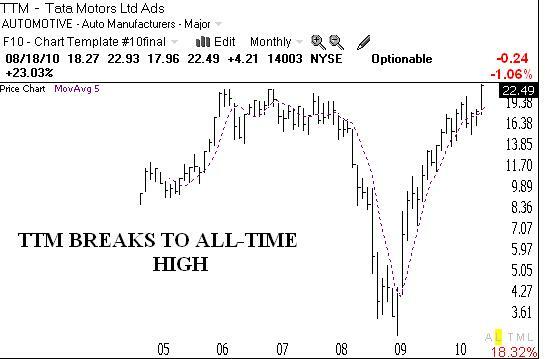 Another strong auto stock is TTM, which this monthly chart shows broke out this week to an all-time high (click on chart to enlarge).